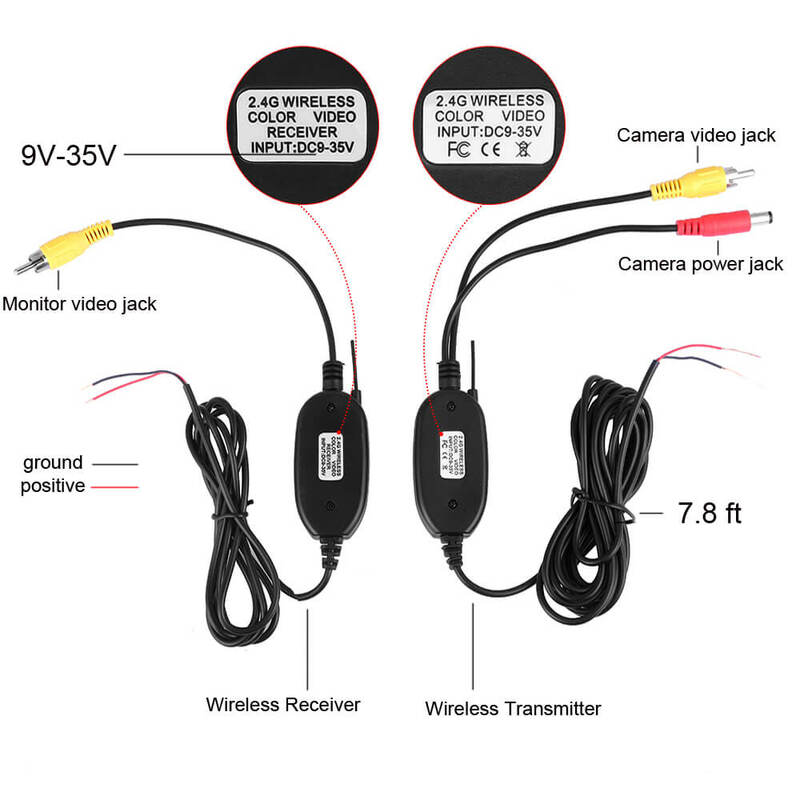 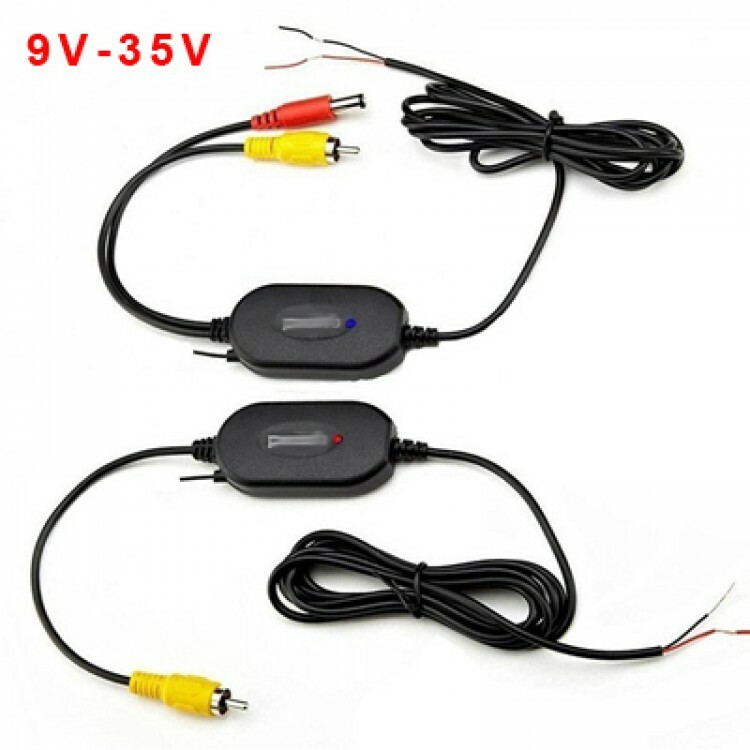 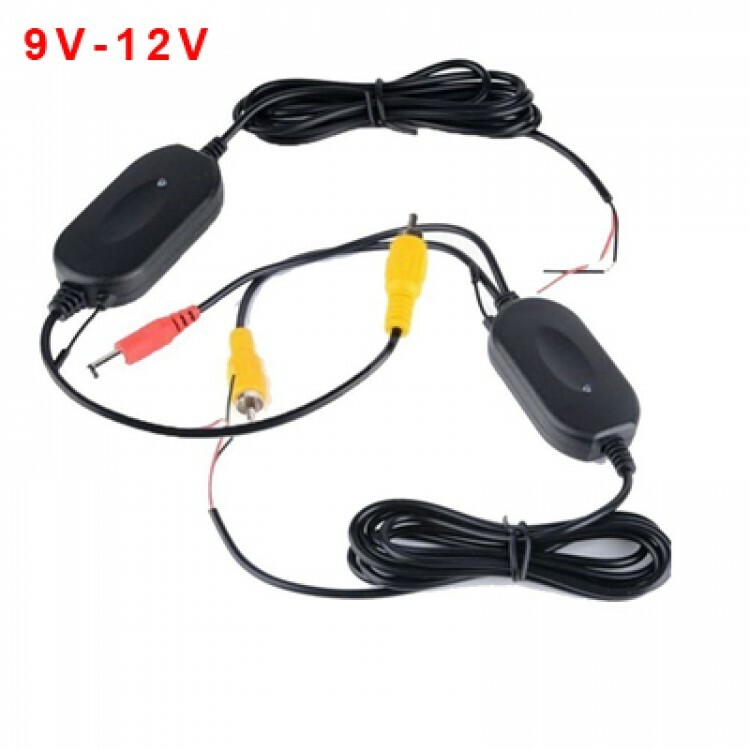 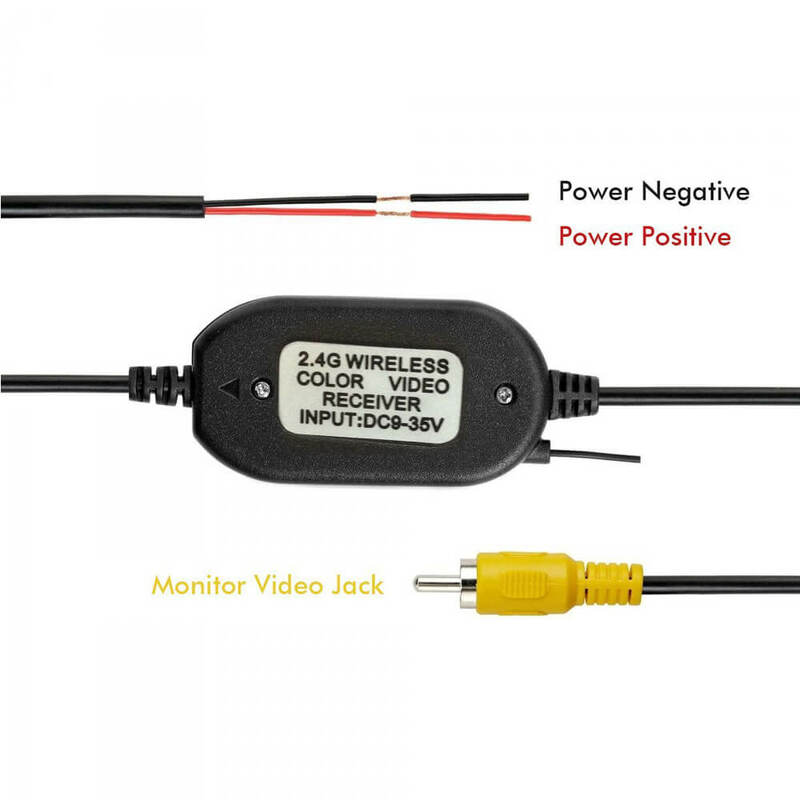 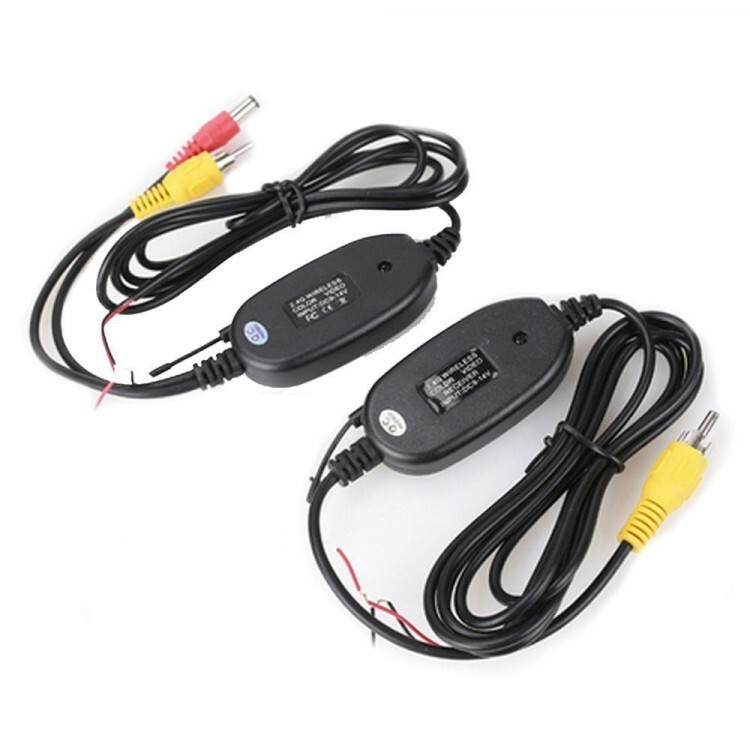 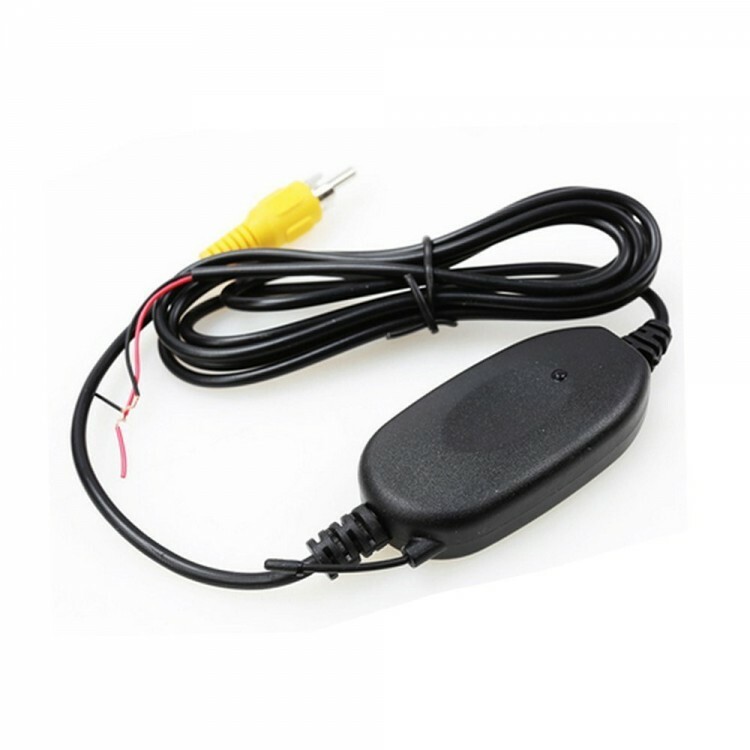 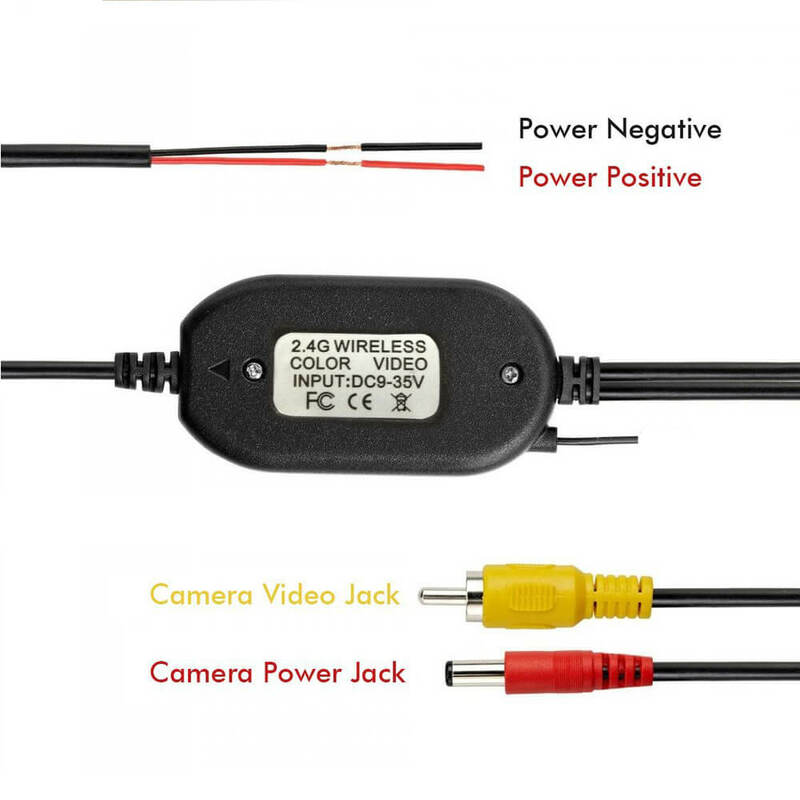 100% brand new Wireless RCA Video Transmitter & Receiver Kit for Car Rear View Camera Note: It should connect to 9V / 12V power. Easy to install: the receiver connect to monitor. 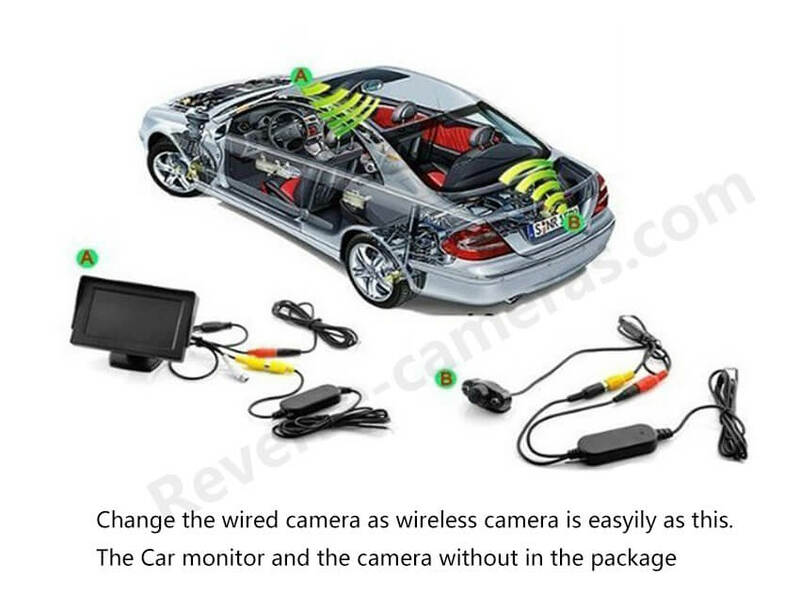 The transmitter connect to rear camera. 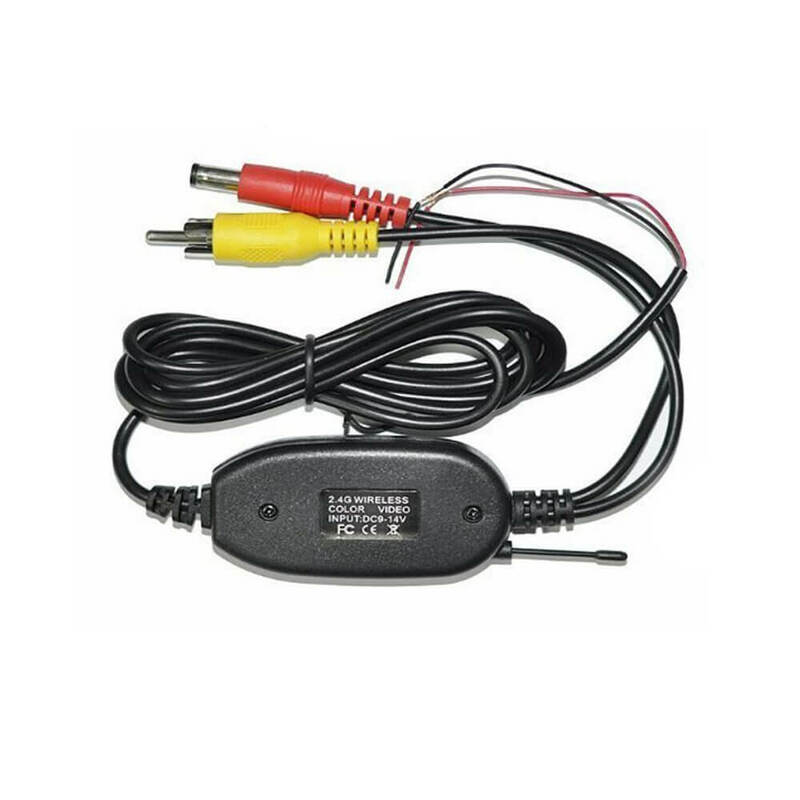 AV OUT interface: RCA jack. 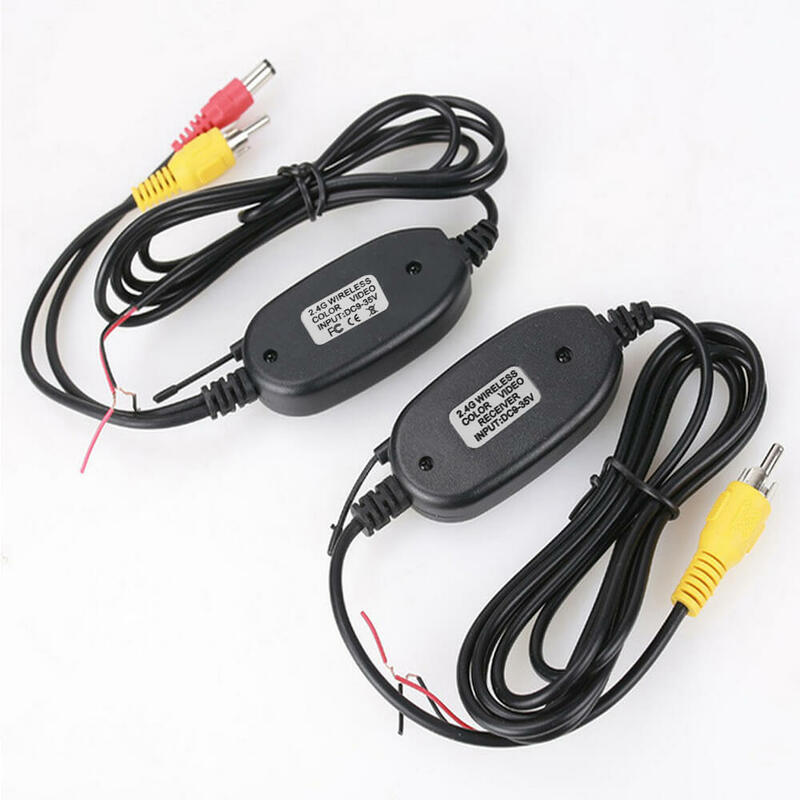 2.Connect the wireless module (transmitter) to the reverse light of your car to get the power - red wire for positive and black wire for negative. 3.Connect the wireless module (receiver) to your car Monitor,GPS,DVD - AV input. 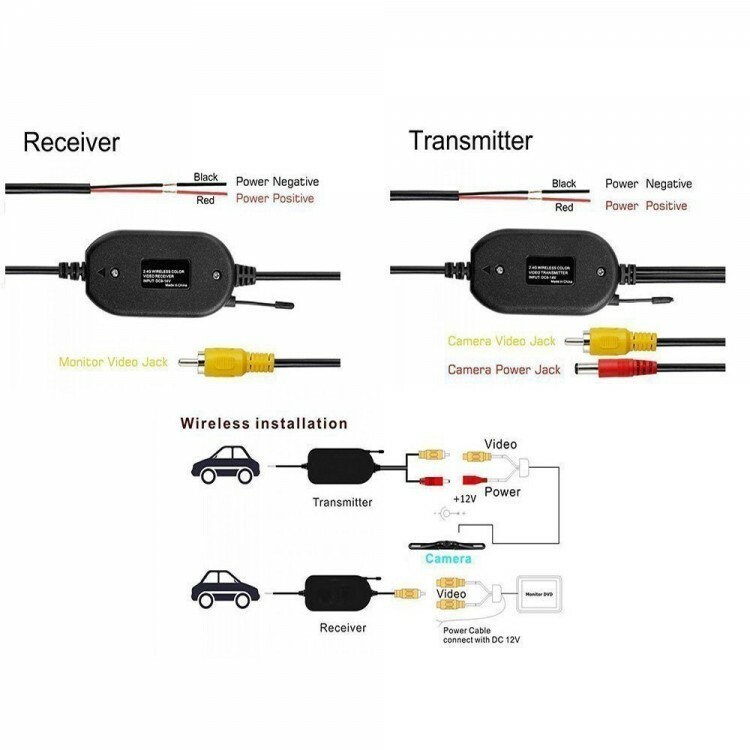 4.Connect the wireless module (receiver) to your car cigarette lighter to get the power - better connect one car charger. 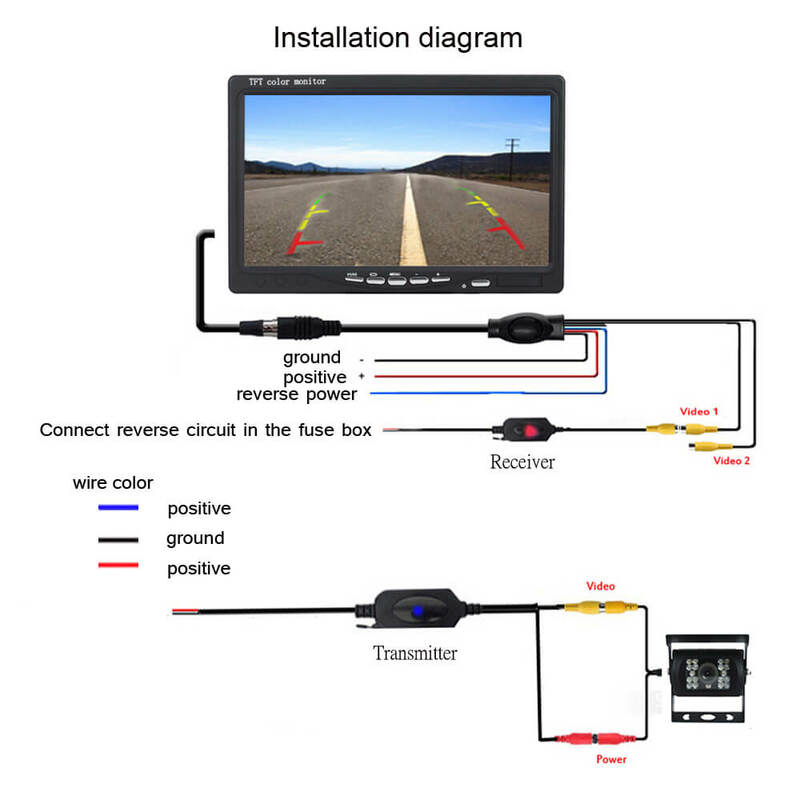 You will see the images on monitor,GPS or DVD when your car is in reverse shift.